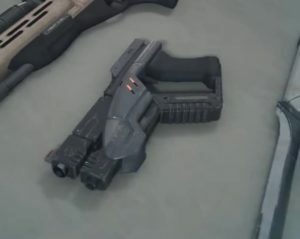 (Updated 3/28/2017) This is a Mass Effect Andromeda weapons page on the M-3 Predator Pistol. Here you’ll find information on the weapons used in Mass Effect Andromeda. A reliable semi-automatic pistol. Originally manufactured by Elanus Risk Control, the rapid-fire Predator is a deadly and inexpensive weapon. Although Milky Way militaries generally avoided using the Predator, the Andromeda initiative obtained and adjusted several hundred of them. Ryder acquires this as their first weapon.